Properties in Muriwai average 4.5 out of 5 stars. Coast Retreat Muriwai - Walk to the Beach! 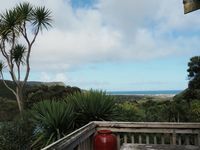 Property 16: Coast Retreat Muriwai - Walk to the Beach! Property 20: Piha presents this private picturesque getaway. Cosy country cottage in rural setting. Property 23: Cosy country cottage in rural setting. Property 24: Great for Family,Special Event or Private Getaway. Cheap, Cosy and Comfortable house in Auckland, New Zealand. 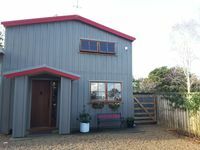 Property 36: Cheap, Cosy and Comfortable house in Auckland, New Zealand. Property 45: Pihadom ocean front beach house, surfers paradise. Want to be our only Guests here on 10 acres? Property 48: Want to be our only Guests here on 10 acres? Such a well presented property. Super cosy and every little detail had been attended to. We will definitely be back!